If you are preparing for a career in the military, you’ll need to take the Armed Services Vocational Aptitude Battery (ASVAB). This series of multiple choice tests is administered by the United States Military Entrance Processing Command to help you (and the military) figure out what career you should pursue in the United States Armed Forces. 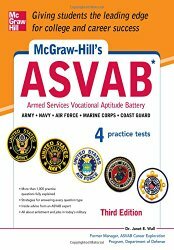 Need a basic overview of the ASVAB? This guy also has some excellent common-sense tips that will go along way to helping you succeed, not only on the test, but in school and life, as well. Need to test your ASVAB skills? Try out these practice tests, then brush up on the areas where you need help. Welcome to ASVAB Practice Tests, a free website that is designed to help you with your ASVAB test prep and review. Each of our free ASVAB practice tests includes challenging practice questions along with detailed explanations. Whether you are preparing for a career in the Army, Navy, Air Force, or the Marines you will need to pass the ASVAB test. 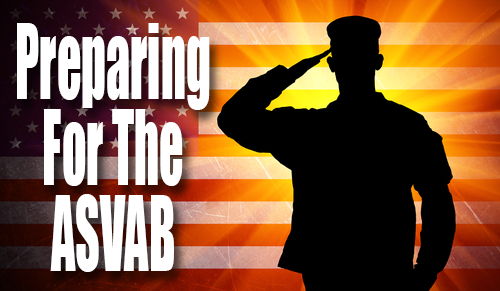 We hope you find our site helpful as you study to take the ASVAB exam! If you ever have any questions, please feel free to reach out to us on social media via Facebook, Twitter, Google+, and Pinterest, or by email at info@uniontestprep.com. 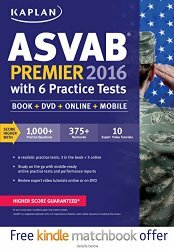 Free 2016 ASVAB practice test database with questions for all 9 subtests. Practice ASVAB tests for Army, Navy, Air Force and Marines scored instantly online. Need help attaining your best possible score on the ASVAB? Check out the study guides below.